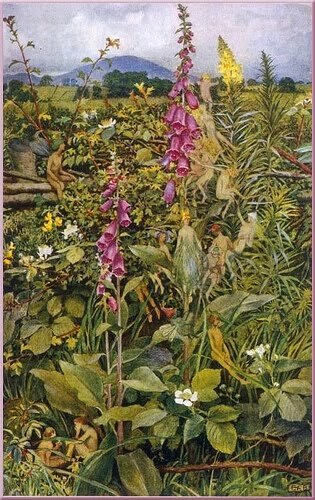 This is Burne-Jones’s design for a stained-glass window the Firm made for St Martin’s church in Brampton, Cumbria. Morris thought Burne-Jones’s designs were wonderful; he admitted to the church’s patron, George Howard, that ‘the cartoons were so good that I should have been quite upset if I had not done them something like justice’. 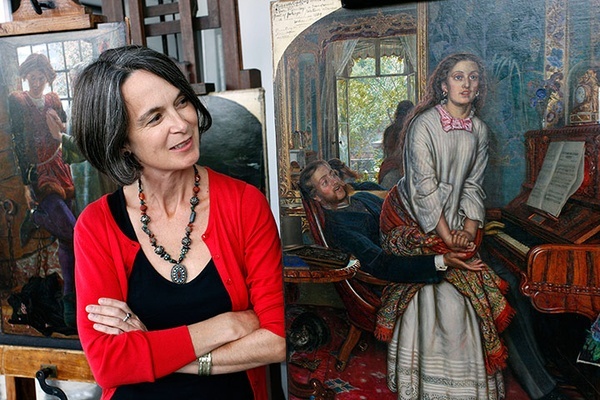 Burne-Jones was less pleased; he thought he’d been underpaid and was only half-joking when he called the scheme a ‘monument of art and ingratitude’. In medieval Europe pelicans were thought to care so deeply for their young that they would pierce their own breasts to provide blood to drink if food was scarce. 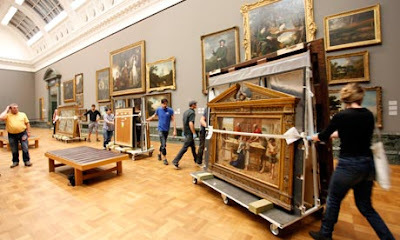 They became familiar in Christian imagery as a metaphor for Christ’s love and sacrifice on the cross. Art historian Nikolaus Pevsner described the sinuous branches supporting the pelican’s nest as a forerunner of Art Nouveau. Laura Lyttelton (1862-1886) was the fifth daughter and eighth surviving child of Sir Charles Tennant, a rich and successful industrialist who became Liberal M.P. for Glasgow in 1879 and was made a baronet in 1885. 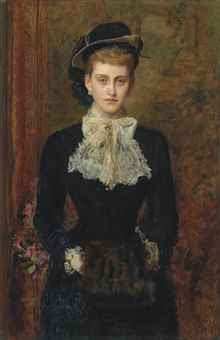 She and her younger sister Margot, who was to marry Herbert Asquith, the future Prime Minister, in 1894, were considered great ornaments of society, shining particularly in the social set known as the Souls that coalesced in the mid-1880s. If Margot was known for her vivacity and formidable strength of character, Laura charmed with her grace and wit. 'Laura's charm became a legend', Jane Abdy and Charlotte Gere have written, quoting a relation who said of her: 'She is up one's sleeve and round one's neck and inside one's heart almost before one has even looked at her' (The Souls, 1984, p. 141). In 1885 Laura married Alfred Lyttelton, the younger son of the 4th Baron Lyttelton, who was to make his name at the Bar and in politics. It seemed a fairytale marriage, but the following Easter Laura died after giving birth to a son, leaving her circle grief-stricken at their loss. 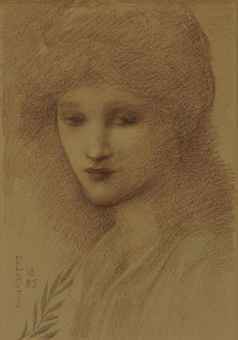 Burne-Jones, who met Laura through their mutual friend Frances Horner, was among her most devoted admirers. 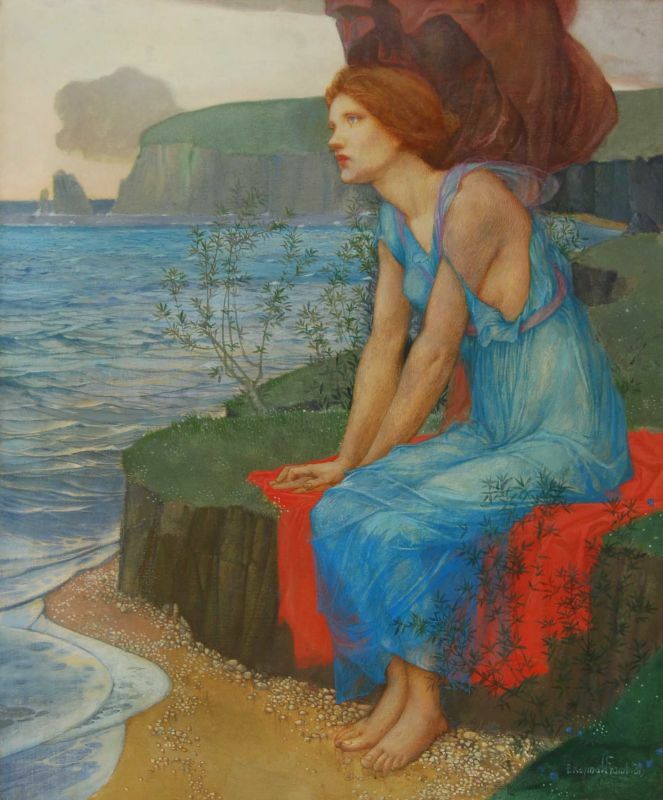 He called her 'The Siren', and in this drawing, made the year she married, was clearly attempting to suggest her fascination. According to his widow, the face of the mermaid in his picture The Depths of the Sea (private collection), exhibited at the Royal Academy in 1886, also 'had some likeness to her strange charm of expression'. He was devasted when she died, and impulsively wrote the words 'In Memoriam L.L. Easter 1886' on his picture The Morning of the Resurrection (Tate Britain) before exhibiting it at the Grosvenor Gallery that summer. But his real memorial to her took the form of a gesso relief showing a peacock, symbol of the Resurrection, standing on a laurel-tree which grows out of an empty tomb. Commissioned by Frances Horner, it was exhibited at the Grosvenor in 1887 and exists in both plain and coloured versions. The present sketch is possibly a preparatory sketch that relates to two oils exhibited at London's New Gallery, Summer 1896, nos. 78 and 82. 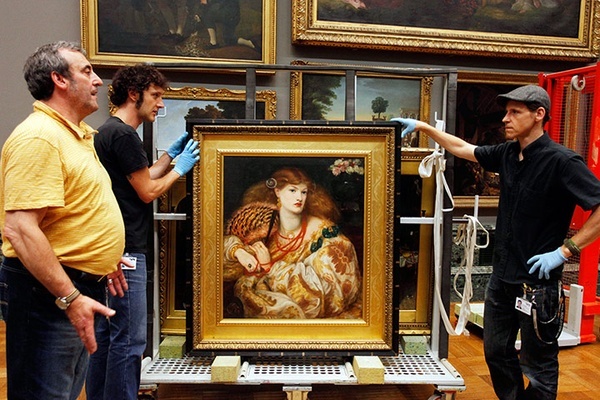 The Tate curator behind the exhibition, Alison Smith, has been working on the show for 5 years. She takes a well earned moment to pause and enjoy! This picture may have begun as early as 1891, although Burne-Jones’s account books list him as working on it beginning in 1896. 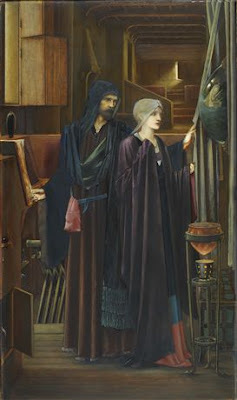 There is some association with Shakespeare’s Tempest, the older man reveals an image of a shipwreck to the young girl, in his convex mirror, although Burne-Jones referred to it as his ‘Maiden and Necromancer picture’ (see Lago, p. 84). It is believed that the wizard himself is the artist in his younger years, and the young girl was modelled by Frances Graham Horner, daughter of his primary patron since the 1860s, William Graham, and as a result, is often biographically interpreted. Two compositional studies for this picture exist, both in Private Collections; sold at Christie’s in 1970 and 1971, respectively. 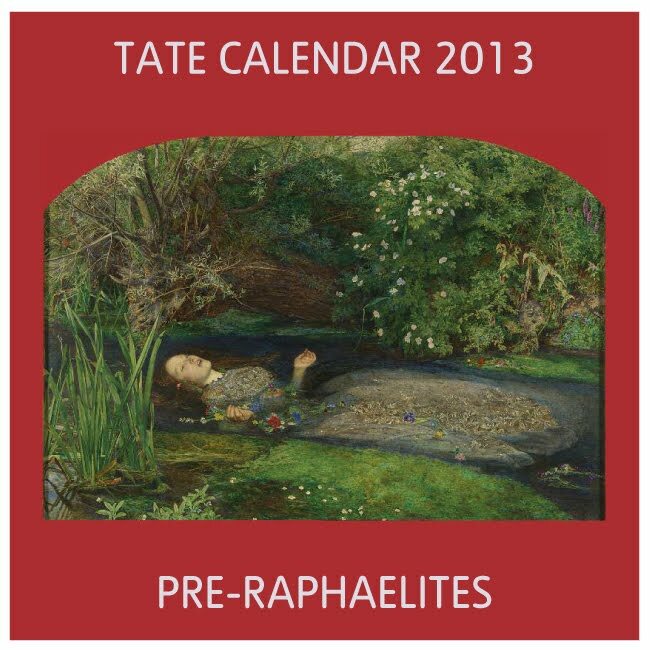 I'm just looking at pictures that will be in the forthcoming Tate exhibition. It illustrates Ferdinand's lines "Where should this music be? i' the air or the earth?". 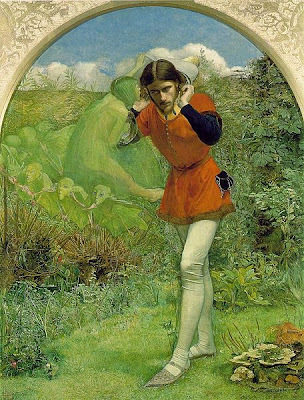 He is listening to Ariel singing the lyric "Full fathom five thy father lies". Ariel is tipping Ferdinand's hat from his head, while Ferdinand holds on to its string and strains to hear the song. Ferdinand looks straight at Ariel, but the latter is invisible to him. The painting was Millais' first attempt at the plein air Pre-Raphaelite style, which he did at Shotover Park near Oxford. The Times (when it was first exhibited) condemned it as a "deplorable example of perverted taste". In 1998, when it seemed as though the painting might leave Britain to be sold in the USA, the columnist Kevin Myers, wrote that he would "put my foot through it" with "violent joy". You can order now and receive it on the official release date of 12/09/2012. Extensively illustrated, with essays by leading international authorities in the fi eld, this will be the key work on the Pre-Raphaelites for years to come. Amateurish video but look at the pictures! The pre-Raphaelite brotherhood was founded in 1848 when a group of young artists joined together in an attempt to revitalise contemporary art. 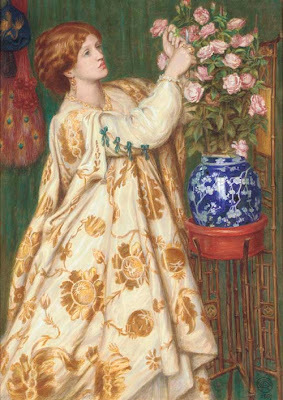 Their work provoked censure from critics and shocked reactions from the public, yet from the pre-Raphaelite circle emerged some of the greatest artists of the 19th century - Rossetti, Millais, Holman Hunt and the decorative artist William Morris. This volume discusses the lives and works of these friends and arch-rivals, illustrated with large reproductions of their paintings. 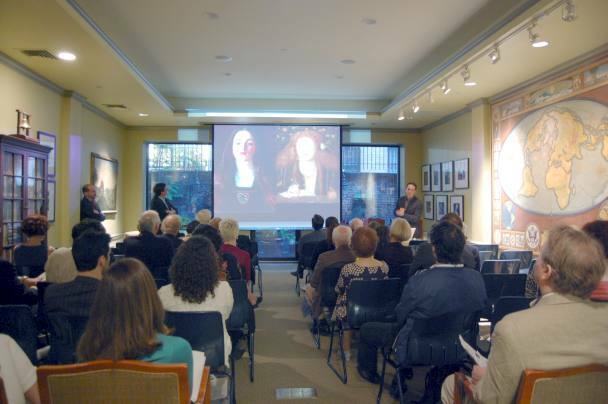 It begins with a brief social history of the society from which the artists emerged, including a discussion of the position of women and the role of religion and literature in pre-Raphaelite art. 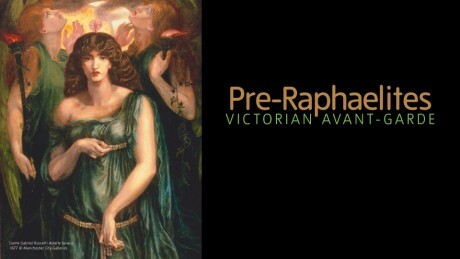 Combining rebellion and revivalism, scientific precision and imaginative grandeur, the Pre-Raphaelite Brotherhood shook the mid-nineteenth-century art world and were effectively Britain's first modern art movement. 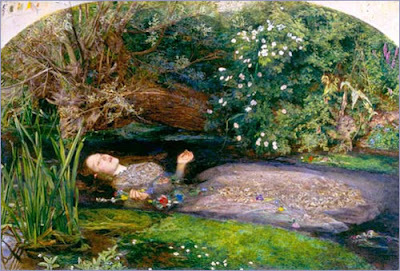 Today the works of the Pre-Raphaelites are among the best known of all English paintings, and yet they have sometimes been dismissed as Victoriana or mere escapism. This book corrects that view. Accompanying a major international touring exhibition, it examines works in a wide variety of media, demonstrating the broad scope of the movement's revolutionary ideas about art, design and society. Led by Dante Gabriel Rossetti, William Holman Hunt and John Everett Millais, the Pre-Raphaelites rebelled against the art establishment of their day and were committed to the idea of art's potential to change society. 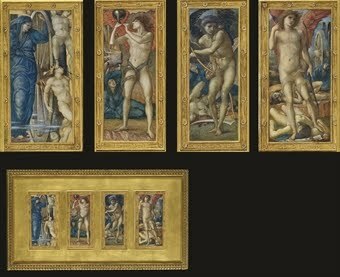 Their unflinchingly radical style, inspired by the purity of early renaissance painting, defied convention, provoked critics and entranced audiences. 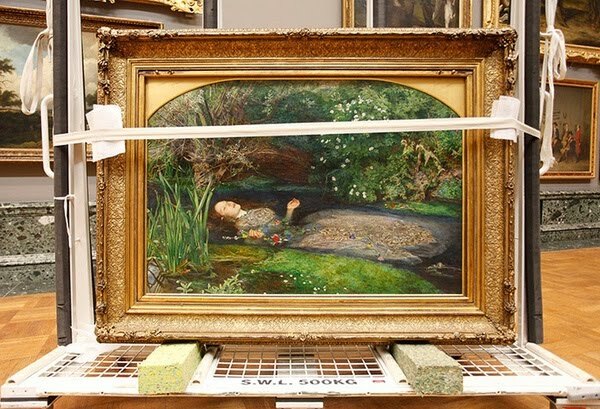 Many of the most famous Pre-Raphaelite paintings are featured, including Millais' Ophelia and Madox Brown's The Last of England, alongside less familiar works. 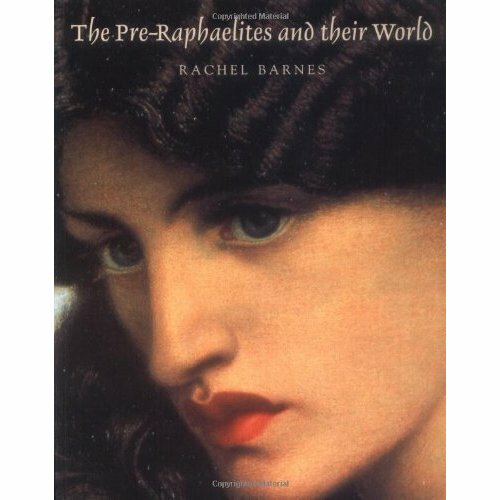 In contrast with previous Pre-Raphaelite surveys, this book also includes sculpture, photography and the applied arts, the latter showing the important role the Brotherhood played in the early development of the Arts and Crafts movement and the socialist ideas of the poet, designer and theorist, William Morris (1834-1896). 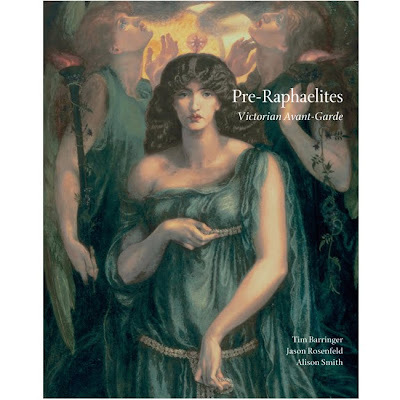 Extensively illustrated, with essays by leading international authorities in the field, this will be the key work on the "Pre-Raphaelites" for years to come. Berthe Schlesinger was a strikingly beautiful American woman and reputedly a muse for the couturier Charles Frederick Worth. 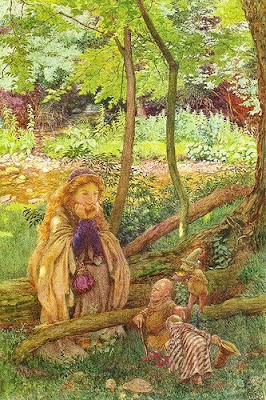 Lillie Langtry wrote in her autobiography that she 'had a lovely face, which I have never forgotten - fair and delicate, framed in beautiful golden hair, swept high in classic coils.' Born in 1852, she was the daughter of the Swiss-American naturalist Louis-François de Pourtalès, custodian of the Museum of Comparative Zoology at Harvard. Her husband, Sebastian Schlesinger, was a composer known especially for his songs. Some fifteen years her senior, he came from a Jewish family who had emigrated to the United States from Germany when he was a boy, settling in Boston. Berthe and Sebastian lived in Boston at 79 Marlborough Street, and Sebastian served as the city's German consul. 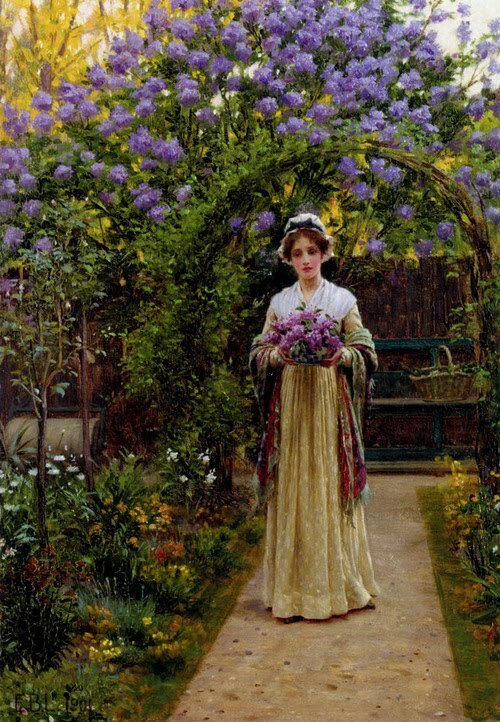 The couple moved in high social and artistic circles on both sides of the Atlantic, and around the time of the portrait Berthe was on close terms with Millais and his wife Effie, who mentions her frequently in her diaries. Unhappy in her marriage, Berthe eventually fled Boston with her two daughters and took refuge with her brother, Louis de Pourtalès, who lived near Colorado Springs. She and Schlesinger divorced, and in 1889 she married her cousin James de Pourtalès. She died at Glumbowitz, her second husband's family estate in Silesia (then Prussia), in 1905. Millais exhibited the portrait at the Royal Academy exhibition of 1876, where it was well reviewed. 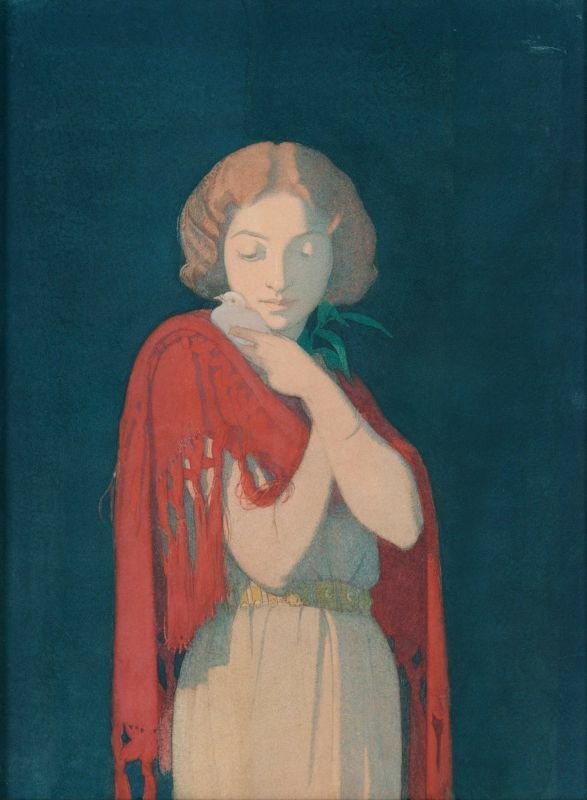 Writing in the Athenaeum, the critic F. G. Stephens described Mrs Schlesinger's face as 'marked by a dreamy pathos and instinct with beautiful sentiment, exquisitely rendered.' The work was included in the Millais retrospective at the Grosvenor Gallery in 1886 and the Millais memorial exhibition at the Royal Academy in 1898, but appears never to have been shown in public since then. We are grateful to Dr Malcolm Warner for providing this catalogue entry. "Come and see me in Bournemouth on Saturday 13th October at 2.30pm in the Morning Room of the Russell-Cotes Art Gallery and Museum! 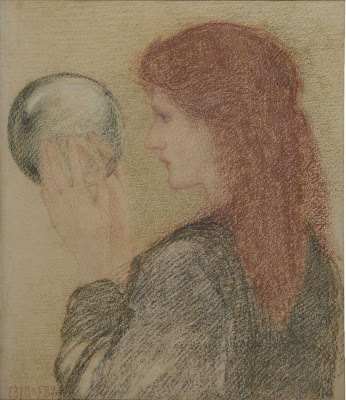 I (Kirsty) am giving a talk on the journey of Fanny Cornforth from streetwalker to supermodel, or nut-slinger to national treasure, and you can come and see me. or call 01202 451820 to book tickets."